Walk Run Wag 2017 Is July 8! And WE WANT YOU! 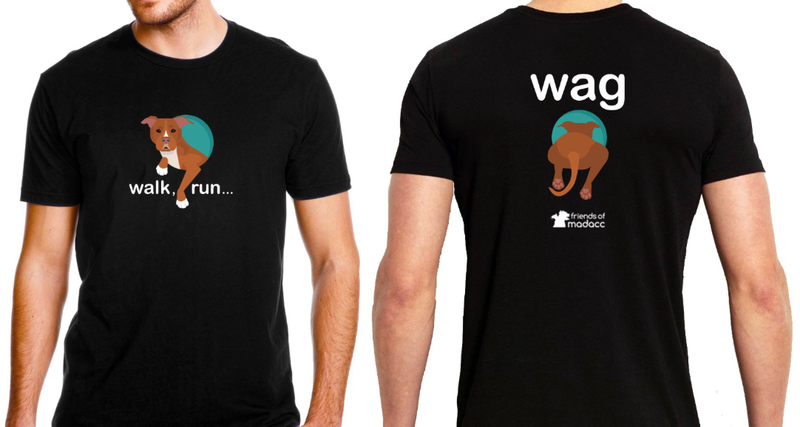 That’s right, folks, mark your calendars: Walk Run Wag is back and will be better than ever in 2017. Join us 9 a.m. on Saturday, July 8 at our previous location in Wauwatosa’s Hart Park. Registration will be opening in the coming weeks. We’ve heard your feedback (thank you!) and are refining the registration process for individuals, teams and fundraisers, so watch this space for more news about how to sign up and different ways you can participate. Sponsors! We love your support and look forward to working with you again. We will be posting our new sponsor packet soon. We are looking for volunteers to join us now as we plan this year’s event. We have positions open for people with run management experience, but we also have spots open for anyone who wants to make a positive difference for the animals and people in our community — no specific experience needed, only enthusiasm is required! If you’re interested in joining the WRW Committee, we invite you to attend our next meeting: 6 p.m. Wednesday, February 8 at MADACC, 3839 W. Burnham St., West Milwaukee. If you have questions about volunteering, please feel free to email us at friends@madacc.org with “WRW Volunteer” in the subject line. We look forward to sharing more exciting news for WRW2017 very soon!